The space where we live can be monitored in many ways and it appears, even more, to be in a state of flux – a gradient of data in continuous evolution and change. Our understanding of the surrounding environment is improving everyday due to our ability to scan and sample the environment around us at increasing resolution using better technologies and sensors. Hence the space is revealed, beyond its physical boundaries, as an ever-changing data field. Our capability to act and design the space itself can be enhanced by the use of specific tools which are able to inform the design process with more accurate, specific and adaptable manifold of data streams and patterns. 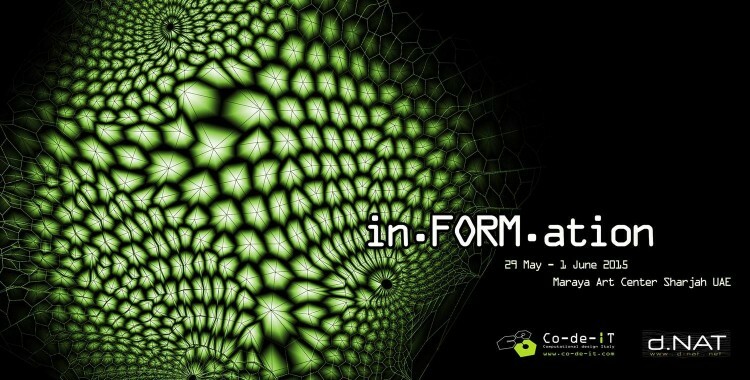 in.FORMation is an intermediate/advanced Grasshopper workshop exploring PATTERN as ‘data embodiment strategies’. We will examine patterns of nature and the environment around us as information processes that provide the basis to develop possible strategies to inFORM digital matter morphologies by a specific set of data conditions. In the evening of the third day, participants will be divided into groups to develop their own concept. The groups will explore manifolds of information as a reference for their system, and will investigate their potential in relation to their design. The design intent will be focused on the process of generation complex systems and patterns from the embodiment of this information. Processes will be applied to generate a variety of building forms or skins that reflect the groups’ concepts. The aim of the workshop is to explore new design possibilities and to expand the design space towards information – oriented design. Zayad Motlib – d-NAT (GH & design tutor).